Poll: How are the tools? 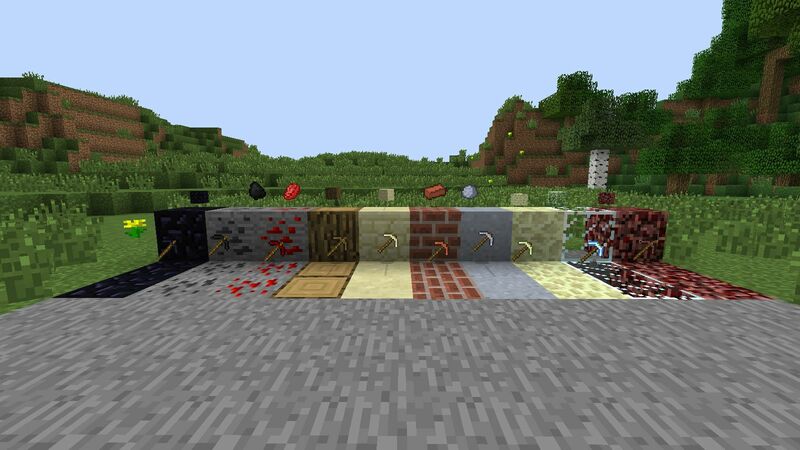 Poll: How are the ores? Poll: Should I add arrows? 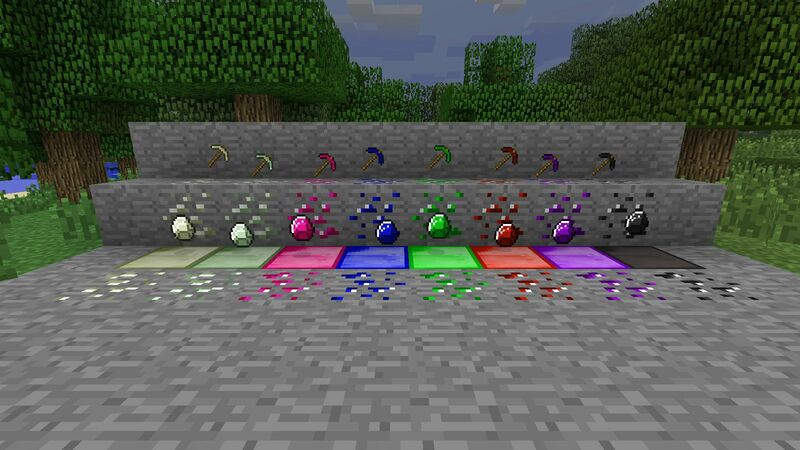 This mod allows you to create tools out of Opal, Jade, Red Topaz, Sapphire, Emerald, Ruby, Dragonstone, Onyx, Copper, Tin, Bronze, Steel, Silver, Mithril, Adamant, Rune, Bone, Brick, Clay, Coal, End Stone, Flint, Glass, Netherrack, Obsidian, Redstone, Sandstone, and Wood(not planks). 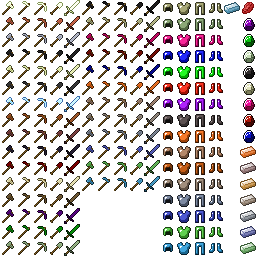 You can also create storage blocks and armor out of all of the gems and ingots. To create Redstone tools you must smelt Redstone dust into Redrock which you use to craft tools, you can also smelt Clay tools into Brick tools. I plan on adding more. If you have any ideas of things to add or things to change let me know, also if you like or dislike the mod let me know. Smelt an Iron Ingot to get a Steel Ingot. To make a Bronze Ingot, put one Copper Ingot and one Tin Ingot in the crafting grid. Please comment suggestions. Also if you think a tool is too good or bad, or if an ore is too common or rare, or something like that, tell me what you think it should be. The next Minecraft update will include emerald so what should I do???!!! You can just drag these zip files into your mods folder. 1. Run %appdata% to get to your .minecraft folder. 2. Open the bin folder. 3. Open the minecraft.jar folder with winrar or something like that. 4. Delete the META-INF folder. 5. Open the Modloader.zip and drag its contents into minecraft.jar. 6. Open the MinecraftForge.zip and drag its contents into minecraft.jar. 7. Open the More Tools 'n' Such.zip and drag its contents into the minecraft.jar. 8. Enjoy the best mod ever. 9. Tell me what you would like to see in the next update. Pretty nice glad to see that you improved your mod. But just two questions Why the new thread? And what is that item that looks like a red lapiz lazuli? My username for everything is kje360 but if I need to create a new account for some reason I just add a 0. I made kje360 on minecraft forums a while ago but when I made the mod I forgot the password and was having troubles with account recovery so I created kje3600. I have now recovered my original account so I wanted the mod page to be on this account. The item that looks like red lapis lazuli is redrock, which can be created by smelting redstone dust and is used for crafting redstone tools. can you make the axes coordinate with timber? if you can thanks! great mod! Does this work with forge? can you make it not require forge?because i am using better than wolves and it's incompatible with forge, but great mod dude, keep up the good work! and is SMP a possibility? because it would be amazing. can you make it not require forge? because i am using better than wolves and it's incompatible with forge, but great mod dude, keep up the good work! 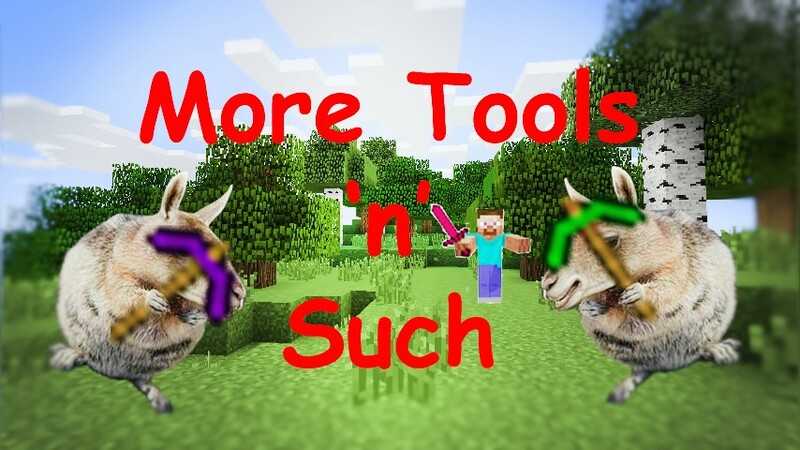 I can't becuase without forge a mod is limited to the amout of items it can have and this mod exceeds the limit. 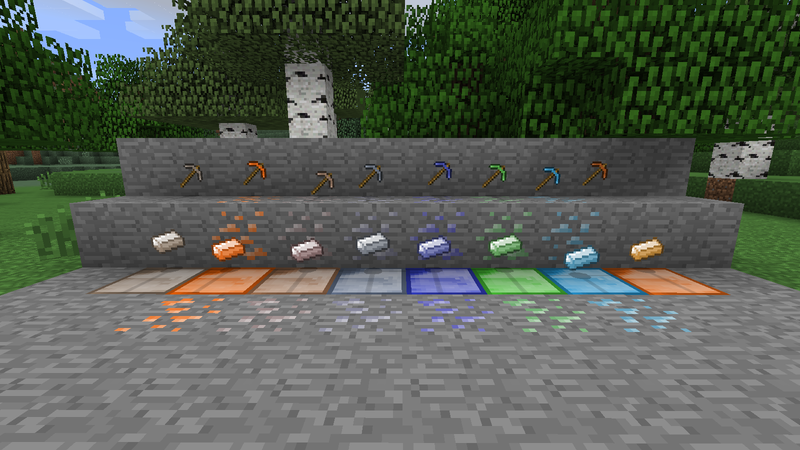 This mod is incorrectly named, you added more ores which can be used to make new tools, it should be named "more ores" or something like that. Hey I just wanted to say I spent about an hour trying to get to install your mod with IDC2 and Redpower ect. but It kept on coming up with ID conflicts but I dont know why because your mod uses forge so do you know why??? ithink for the emeralds make it 1.3 emeralds but make them spawn as commen as the emerald you made for the mod. because 1.3 emeralds are rarer than diamonds. Are you going to update the mod to 1.6.2?